High-density stone wool insulation, such as COMFORTBOARD™ 110, may now be used as a true continuous insulation rainscreen solution with Knight’s CI® System and HCI™ System, offering superior fire resistance, vapor permeability and sustainability. 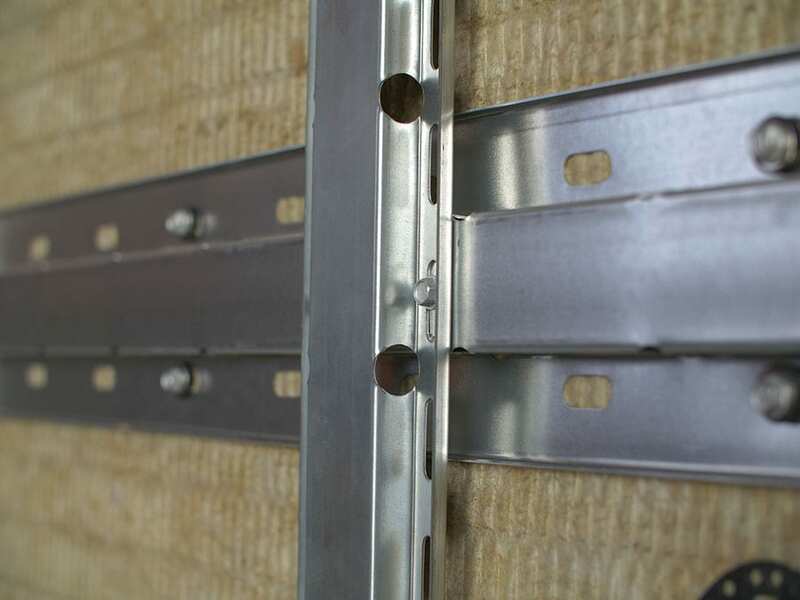 Both the Knight CI System and HCI System provide outstanding thermal performance by way of true CI (no penetrations through the insulation except fasteners), while accommodating nearly any façade or cladding system up to 15 lbs. per square foot, providing maximum versatility and durability with ease of design and installation. The CI System uses unique 3/4” deep vertical box girts, called CI-Girts™; and the HCI System uses unique 3/4” deep horizontal girts. 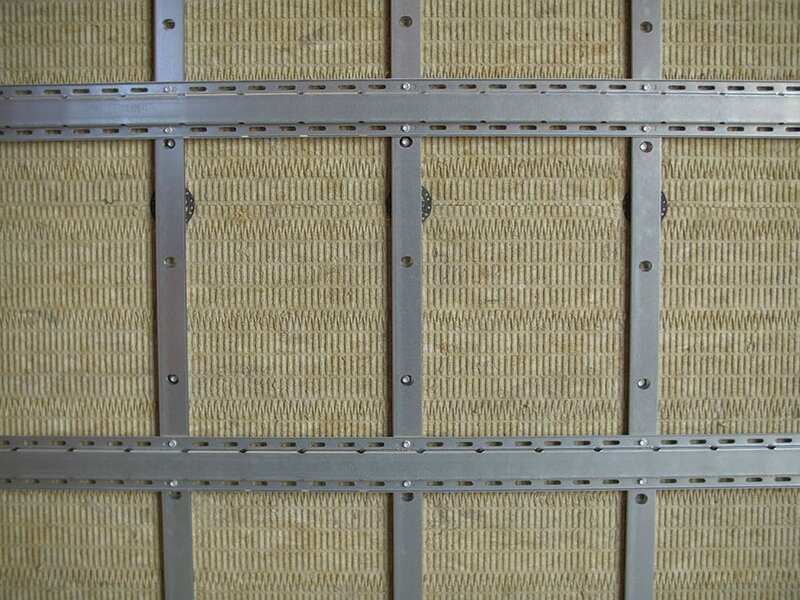 Both are designed to properly disburse the façade loads over exterior stone wool board insulation, with only unique thermally isolated fasteners penetrating the thermal barrier, thus minimizing thermal bridging. Seamlessly installs with panels and finishes of all types – including 3-coat stucco, single skin metal panels, fiber cement, etc. Knight’s CI® System and HCI™ System may also be used with rigid foam insulation applications as they always have since 2011. 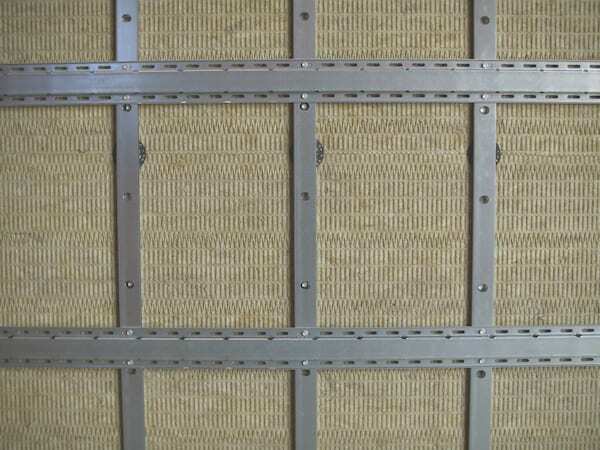 *Maximum allowable spacing and dead load (weight of cladding) is based on the total load (dead + live) acting on the assembly and connections, including insulation thickness. 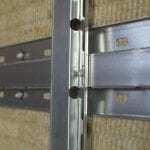 Wall anchors must be specified and supplied by KWS for a written limited warranty. Knight will specify the exact anchor type, embedment depth and spacing for anchors in project specific engineering packages. ThermaStop thermal isolation washers must be used on all types of wall anchors with the HCI or CI System, no matter the substrate. NOTICE: No freedom from any patent owned by Knight Wall Systems or others is to be inferred. Because use conditions and applicable laws may differ from one location to another and may change with time, Customer is responsible for determining whether products and the information in this document are appropriate for Customer’s use. NO EXPRESS WARRANTIES ARE GIVEN EXCEPT FOR ANY APPLICABLE WRITTEN WARRANTIES SPECIFICALLY PROVIDED BY KNIGHT WALL SYSTEMS. ALL IMPLIED WARRANTIES INCLUDING THOSE OF MERCHANTABILITY AND FITNESS FOR A PARTICULAR PURPOSE ARE EXPRESSLY EXCLUDED. 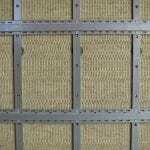 CI, CI-Girt and MFI are registered trademarks controlled by Knight Wall Systems, Inc. CI-System, HCI-System, MFI-System, HCI-Girt, PanelRail, RevealRail, Reveal-Girt, ThermaBracket, ThermaStop, PanelTek & SidingRail are trademarks of Knight Wall Systems, Inc. Patent US 8,429,866 B2 and others pending.